Theatre Classes Monroe: Why Choose Fine Arts? You want to set your child up for success in the world, which is why you are hoping to give them the best possible start. With that in mind, it’s time to start considering enrolling them in some sort of fine arts program, whether that be local theatre classes, piano lessons, or dance classes. Regardless of what you choose, we are here today to share some of the top reasons to choose the fine arts. Creativity: The most expected of the benefits, the fine arts teach children new ways to express themselves that other subjects cannot. By being challenged to think creatively in these settings, kids are more likely to embrace this same creative thinking in other disciplines. 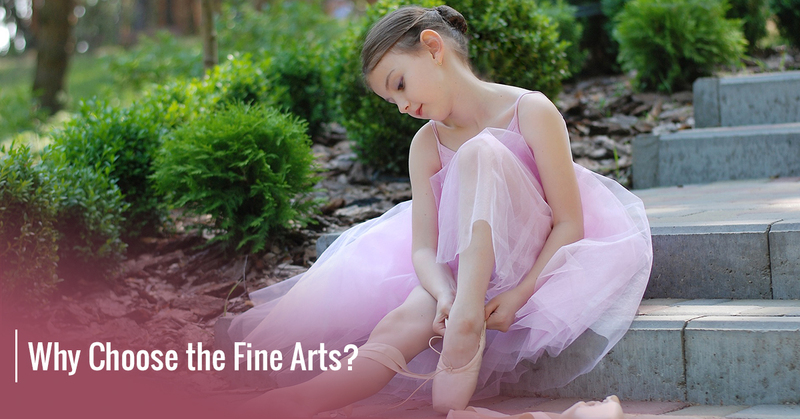 Better Grades: Yes, the fine arts can help improve your child’s academic achievements! A report by Americans for the Arts found that students who participate in the arts for three hours a day, three times a week for a year were four times more likely to be granted awards for academic achievement, to participate in a math and science fair, and to win an award for writing an essay or poem than those students who did not participate in the fine arts. Confidence: Mastering anything can boost one’s confidence, but the arts demand that children go in front of their peers and perform with no inhibitions. This can help your child grow in confidence as their peers support them. Decision Making: The arts can help children strengthen their critical thinking and decision making skills. They have to interpret how to display a targeted emotion, or perhaps a feeling, through their performance. By analyzing how they will do this and making a decision, kids learn to take action. Perseverance: The arts are not easy, and while some concepts and ideas may come easily to your child, we can guarantee that not all of them will. Perfecting technique and mastering an instrument or dance takes time and effort. Many kids want to quit, but the arts teach them the value and the rewards of perseverance. Focus: As kids work through their piano lessons or theatre classes, they will need to focus in order to succeed. This focus often transfers to other areas of life, including school and studying habits. Teamwork: While many people may associate teamwork being only a part of sports, they would be wrong. Many fine arts programs demand that children work well together to create a finished product. Whether that be a choir or the cast of a play, the kids need to strive for a common goal. Accountability: Children learn how their actions impact others through the fine arts. If they make a mistake, it’s important to take responsibility for what happened. Mistakes are an important part of life, as is learning to accept these mistakes and move forward. If you have an interest in theatre classes, dance classes, or piano lessons from the professionals at Soaring Dance Theatre in Monroe, then contact us today. We look forward to working with your child and giving them the confidence to soar on stage!